table 20.03 and, for France, chart 20.01 and chart 20.02 are based on the Insee employment surveys. The relative position of France per level of higher education qualifications of people aged 25-34 is compared with that of thirty other OECD countries; there is very little data for Japan, Korea and Mexico. chart 20.02 gives the proportions of higher education graduates aged 25 to 34 based on levels in the new international education classification, which reflect the new higher education organisation in Bachelor degree, Master and PhD cycles and a shorter cycle (Cite-2011). table 20.03 relates to 'initial education leavers', the end of initial education corresponding to the first interruption of studies of over a year. The data on 'leavers in year n' is collected the following year (survey 'n + 1'), which means that the qualifications have been acquired in initial education and not by resuming studies. They are grouped into three years of initial education leavers (and therefore three years of surveys) in order to obtain samples of sufficient size. It is calculated on the basis of the Insee population estimates and the age structure of leavers from the Workforce survey. Several indicators can be used to measure the proportion of young people who have been awarded a higher education qualification, compare it with the total population and with other countries and analyse recent developments. The proportion of graduates measured in age groups can be used for historical analyses and international comparison. The proportion of graduates measured in a cohort of leavers and the proportion of new graduates per age group are used to report on recent changes. The proportion of higher education graduates among the fully-active French population (aged 25 to 64) equalled the average proportion in OECD countries in 2014 (chart 20.01). Secondary and higher education were less developed in France than in Europe or North America, at the time when the generation that is now 60 was at school. 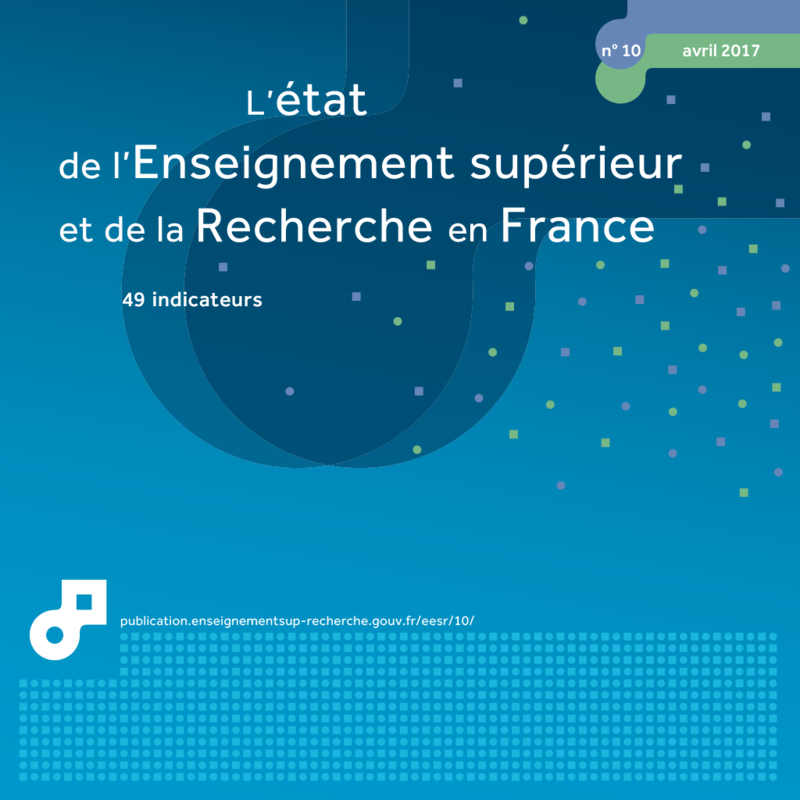 Thanks to the extension of education and significant expansion in student numbers in the 1990s, young people aged 25 to 34 have more higher education qualifications in France than the OECD average: 45% compared with 41%. However, France is one of the OECD countries with, for these generations, proportionally fewer graduates with a Bachelor degree, an old Master’s or an equivalent qualification (24th out of 31 countries in 2014). It is much more likely to have graduates of short vocational and paramedical courses (third) and, also, holders of Master’s, engineering or business degrees and healthcare and research PhD (eleventh) (chart 20.02). The proportion of 39% of young adults between the ages of 30-34 with a higher education qualification in 2015 means that the European Union is on track to achieve the Lisbon objective, combined with the emergence of a society of knowledge, set at 40% for 2020. France has already gone beyond this level (45%). A second indicator helps to understand at national level the qualifications obtained by young people recently leaving initial education. It measures the proportion, among leavers, of young people with higher education qualifications. This proportion reached 44% for young people who left between 2012 and 2014: 30% of young people had taken long-cycle qualifications while 14% of young people had taken short-cycle vocational qualifications (table 20.03). With the development of the new ‘Bachelor Degree, Master and PhD’ cycle, the most recent leavers have tended more to pursue their studies at Master’s level (M). The proportion of higher education graduates leaving showed a slight increase over the 2012-2014 period compared with 2009-2011 (44% after 42%). 12% of initial education leavers are baccalauréat holders who have pursued higher studies without obtaining a qualification (table 20.03). In addition, 42% of young people leaving the education system have at the most one second-cycle secondary education qualification and 14% a school leaving certificate or no qualifications. Finally, a third indicator aims to take account of national changes in accessing a higher education qualification. It aggregates the proportions of young people of each age who obtain, in the same year, an initial higher education qualification. This is the indicator used for the LOLF (French Organic Law on Finance Laws), with a target of 50%. It was 48.5% in 2014. Showing slight growth and a moderately higher score than previous indicators, this last indicator would seem to demonstrate a recent rise in the access rate to higher education qualifications. Extract from the chapter "20. level of education among the general population and among young people".